As a parent of a child, paternity is one of the most important things that you can establish to preserve your rights and the rights of your child. 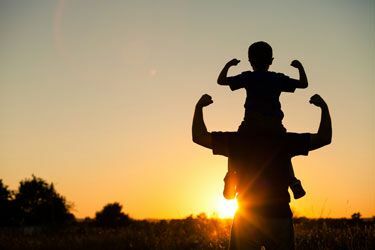 At the law offices of Bloch & Chapleau, LLC, our Colorado paternity attorneys can assist you in understanding how to establish paternity and the benefits of establishing paternity. Please contact us today for legal counsel you can count on. There are many reasons why you should care about establishing paternity. For a mother, establishing paternity allows you to seek child support benefits in the event that you and your child’s father are not married. It can provide a form of support during the child-rearing process. Mothers can also benefit by having access to the father’s important health information that may be pertinent to a child. Children benefit from having paternity established by knowing who their father is, having access to health information, and receiving certain state and federal benefits, such as Social Security benefits. Fathers must establish paternity in order to have certain legal rights. This includes rights to visitation or to seek custody, whether full or partial. Courts will not consider these matters if they do not recognize the father’s paternity. One can also make the argument that establishing paternity has societal benefits. Many feel that children who know who their parents may be better adjusted and have fewer financial burdens placed on them. Most of the time, paternity is established at the time of a child’s birth. When the parents are married at the time of the child’s birth, paternity is assumed. The father’s name is on the child’s birth certificate. If parents are not married, then they may both sign a voluntary acknowledgement of paternity form. This document will become a “legal finding of paternity” 60 days after signing. Of course, there are situations in which a man and a woman (who has given birth to a child) are in disagreement over who the biological father is. When this is the case, the child and a man who claims to be the father can undergo genetic testing to determine if he is actually the father. A court order can then establish legal paternity. The law in Colorado allows for a paternity action to be initiated anytime before the child reaches 18 years of age. Our experienced Colorado family law attorneys can assist you in pursuing a paternity action against another party, whether you are a mother or father who wishes to establish paternity. We know how emotional and challenging paternity cases can be, and how much is on the line in a paternity case. Once paternity is established, we can also help you to understand how paternity affects other issues, like child custody and child support. To learn more and work with a legal advocate who will be on your side, please contact our law offices today. You can call us directly, or send us a brief message.